Elicia has been doing massage/ bodywork since 2004 and acupuncture since 2007. She is a graduate of Bastyr University Seattle, WA receiving a master's degree in Acupuncture Sciences in 2007. 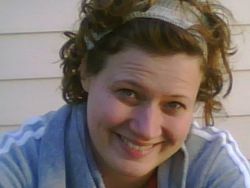 She is a National Diplomate in acupuncture NCCAOM 100689 and holds a ND state massage license #1018 . Besides being a talented healer, she is a wife, mother and recorded singer /songwriter.